We are leading specialists in residential and commercial rollup garage door models from all brands. Thanks to the rolling mechanism which these doors use, they are lighter and more compact. However, they are not fully safe from damage. Our job is to help you avoid all kinds of issues with the condition and operation of the system. The quality of our garage door repair services is guaranteed. 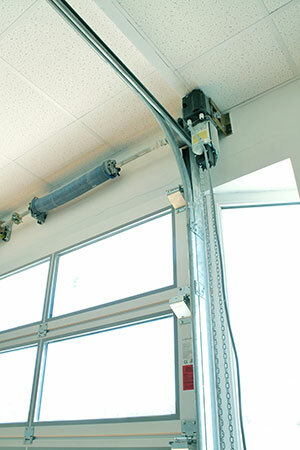 Our rollup garage door repair services are fully comprehensive. We take care of all moving parts without exception. No matter how bad the damage is, we are fully capable of offering an effective solution. We provide repair to the panels as well. If they have got bent or very rusty, we will provide a timely fix. Your door will be as good as new after we intervene. We can fix the opener and its motor effectively if the need arises. If you need an urgent solution, you can use our emergency services. You should definitely take advantage of our rollup garage door maintenance service. We provide thorough inspection for damage and wear and tear. We clean all moving parts and the panels as well. Our lubrication maintenance service produces flawless results every time. You can expect the quietest and most reliable operation. When it is time for rollup garage door replacement, you can rely on Garage Door Repair Odessa completely. We will remove the old door quickly and without hassle. We can even dispose of it upon request. The replacement system will be installed in no time. We will take care of all the seemingly small tasks such as the force and limit adjustment, the balancing of the spring and the programming of the remotes. Leave us a note now to show your interest in our service and we will get back to you right away.